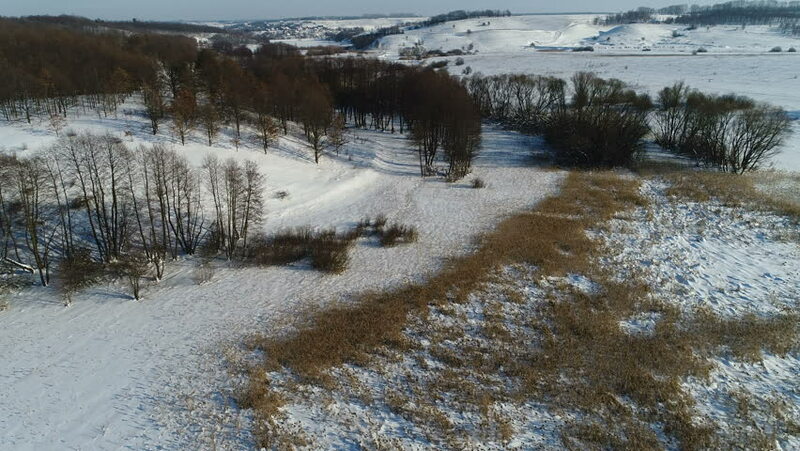 Aerial shooting over the snow-covered meadow and the stream with protruding winter bulrush on low altitude. Frosty sunny day clear sky. 4k00:324K Drone footage flying over a pristine river system with green water, fall trees and clouded mountains. Remote and stunning landscapes with lake in the background. hd00:28Fog rolls down the river on a cold winter morning. 4k00:33Panoramic aerial view of a farm for breeding horses in winter.